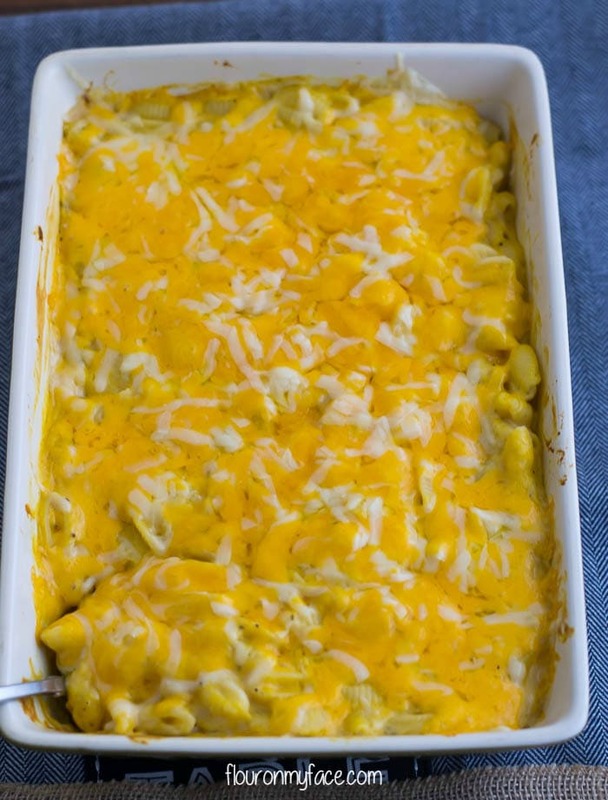 Butternut Squash Mac and Cheese recipe is amazing. 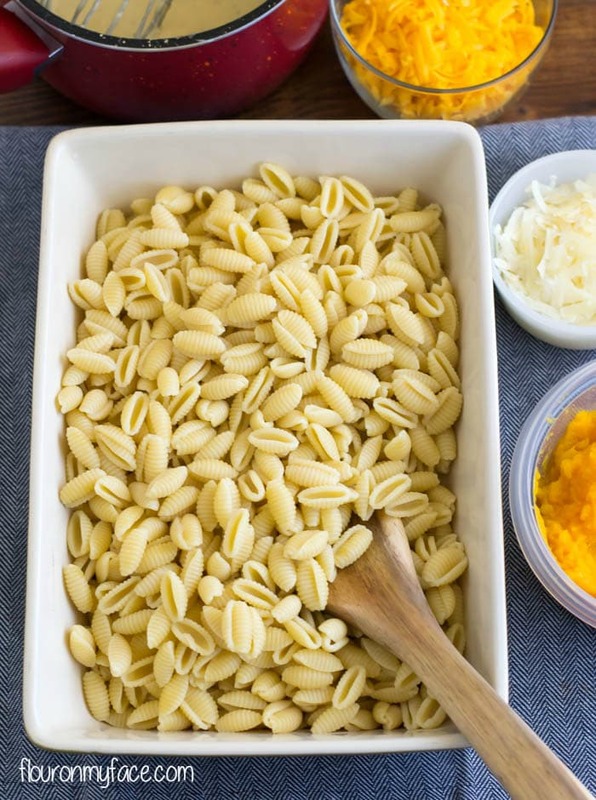 Packed full of fresh butternut squash, gnocchi, a homemade macaroni and cheese sauce that is so easy to make and cheese. What more could you want from a homemade comfort food? Have you ever taken a bite of a recipe and thought OMG why did I wait so long to make this? That’s what I thought after eating the first cheesy forkful of this homemade Butternut Squash Mac and Cheese recipe. 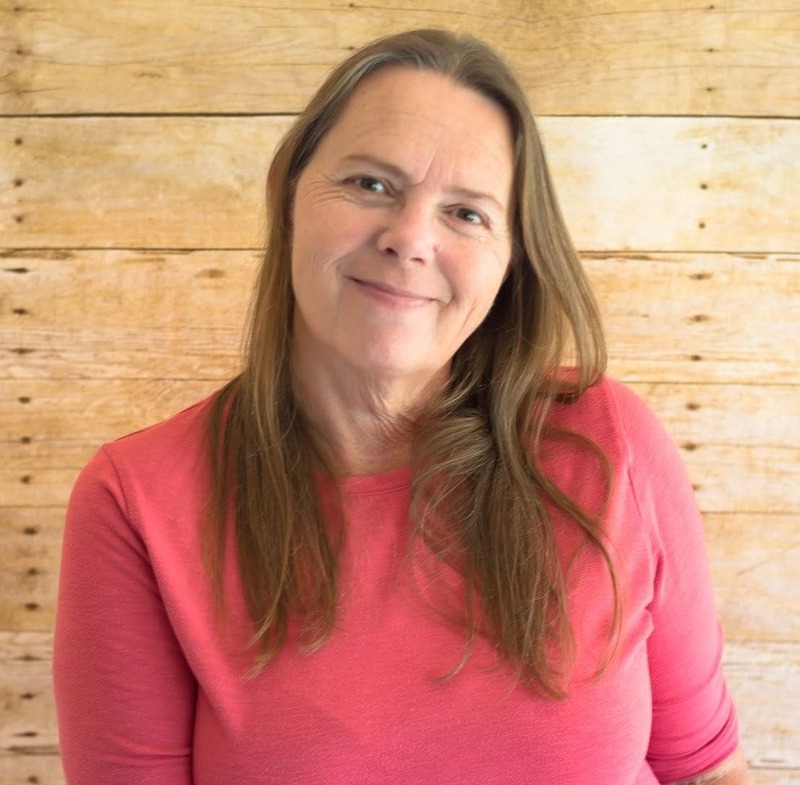 I promised you back when I made the Crock Pot Butternut Squash recipe that I would share some butternut squash recipes. This Butternut Squash Mac and Cheese is one of the butternut squash recipes I will be sharing. I used gnocchi pasta for this mac and cheese recipe. I picked the gnocchi pasta up at Target a couple of weeks ago planning to use it in a crock pot soup recipe. Then I decided it would taste perfect in this Butternut Squash Mac and Cheese recipe. I’m so glad I used it for this recipe. The cheesy sauce clung to the gnocchi pasta. This butternut squash recipe uses the Crock Pot Butternut Squash I recently made. When you cook a butternut squash in a crock pot the butternut squash is cooked to a creamy perfection. No need to mash it. It is silky smooth right out of the crock pot. 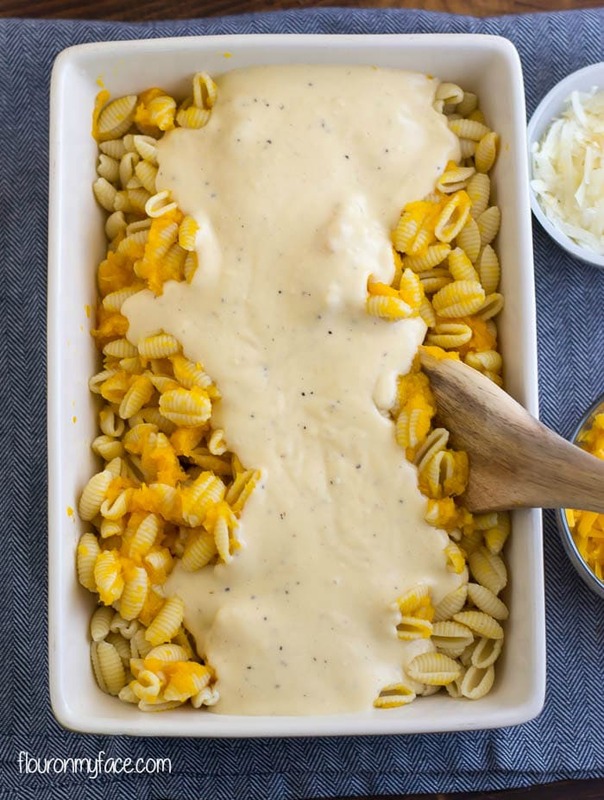 To make this very cheesy delicious Butternut Squash Mac and Cheese recipe you will need to make a cheese sauce. It is very easy to make. 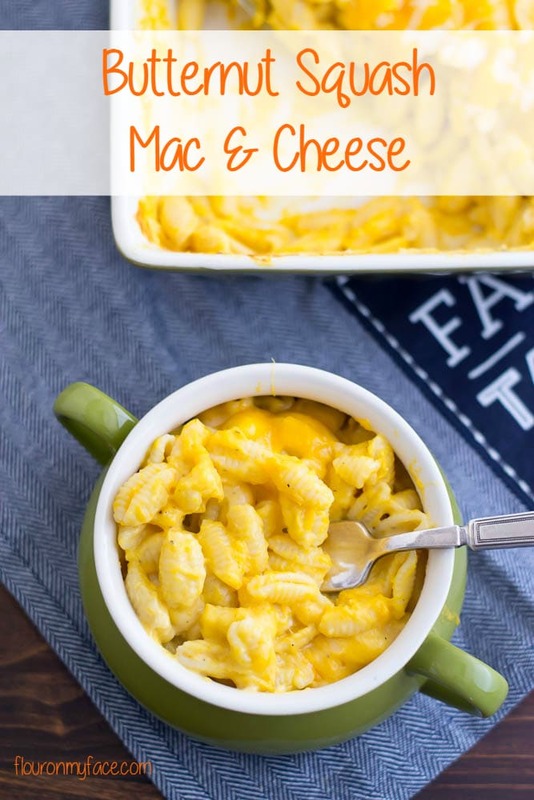 The cheese sauce recipe for this homemade mac and cheese recipe is the same sauce recipe (with some ingredient changes) that I use to make my Easy Homemade Fettucini Alfredo Sauce recipe. 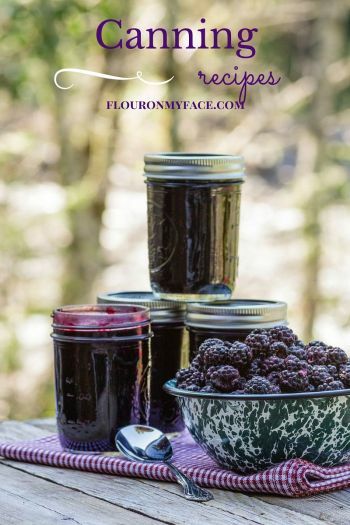 It is the all-time number 1 Flour On My Face recipe. Check out the comments! Everyone loves this recipe. 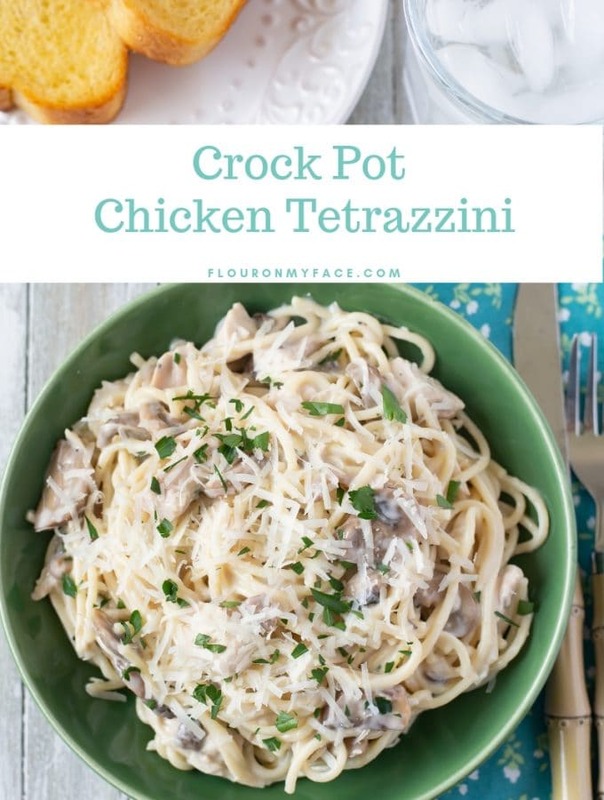 I used a very good block of Parmesan cheese for this recipe. 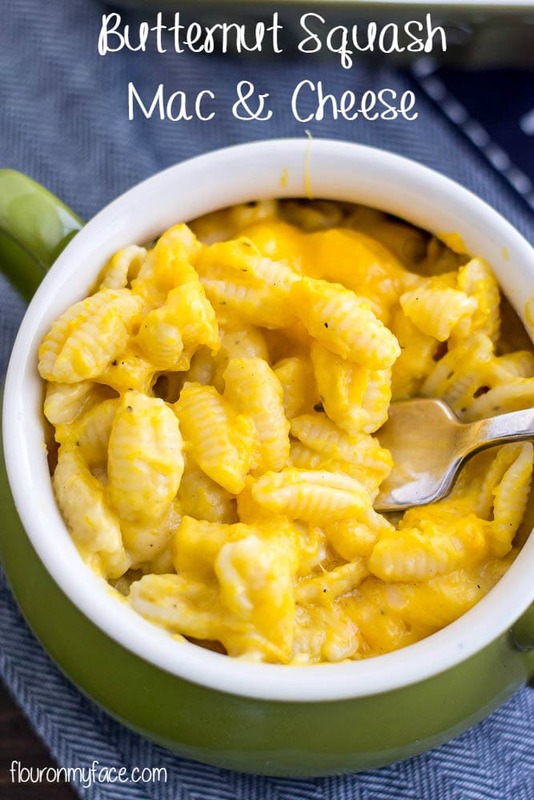 I would not use a powdered Parmesan to make this Butternut Squash Mac and Cheese. That’s not to say that this recipe won’t work with a powdered Parmesan. It will work but it will not taste as good or be as cheesy. Cook pasta following directions on the box and drain well. In a medium saucepan melt butter and add flour, salt and pepper. Over medium-high heat whisk the butter mixture until it turns a golden brown. Slowly add milk while whisking. Add 1 cup shredded cheddar cheese and nutmeg to the pot. Bring to a boil, constantly whisking until thickened. About 5 minutes. Place pasta in a baking dish. Mix the butternut squash into the pasta well. Pour sauce over pasta and mix until combined. Cover with aluminum foil and bake for 25 minutes in a preheated 375-degree oven. Remove from oven after 25 minutes and remove aluminum foil. Sprinkle the remaining cheddar cheese and Parmesan cheese over the top. Return to oven and bake 10 minutes or until the cheese has melted. 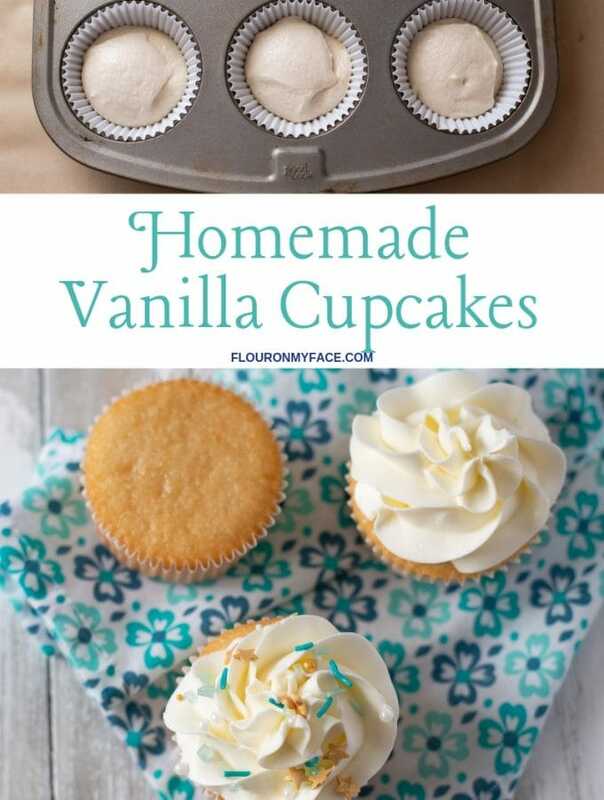 Have you ever taken a bite of a recipe and thought OMG why did I wait so long to make this? That’s what I thought after eating the first cheesy forkful of this Butternut Squash Mac and Cheese recipe. 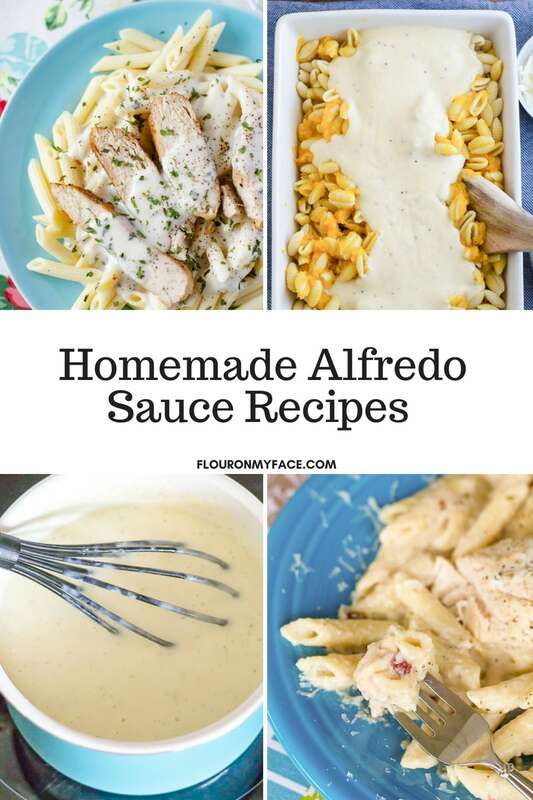 For more recipes using my easy homemade alfredo sauce recipe with milk head over to my Homemade Alfredo recipe page. What a clever way to add veggies! I love this idea! Thank you. You can’t even tell. I keep hearing how AWESOME butternut squash mac and cheese is, so clearly I need to hop on the bandwagon! Can’t wait to try this, thanks for a great recipe :). P.S. found your blog through the Wednesday Roundup! It is really good. Enjoy the recipe! This would make an awesome Thanksgiving side dish! Pinned, tweeted, and shared. Thanks for sharing at Merry Monday, hope to see you again next week! This looks simply fantastic! I can’t wait to try it! It is one of my favorites on last week’s Idea Box party! Thank you Helen. I hope you enjoy the recipe. It is delish and perfect for Thanksgiving. This looks amazing. So cheesy and delicious! And I agree, hard to beat the exquisite flavour of freshly grated Parmesan vs, the powdered one. Cannot wait to try this! Jolina thanks. Fresh Parmesan is so much better than the powdered! You can never have too many man’n cheese recipes in my books. My grandson loves taking it to school for lunch. I bet he would love this version too. I love a good homemade mac & cheese! So much better homemade that boxed. 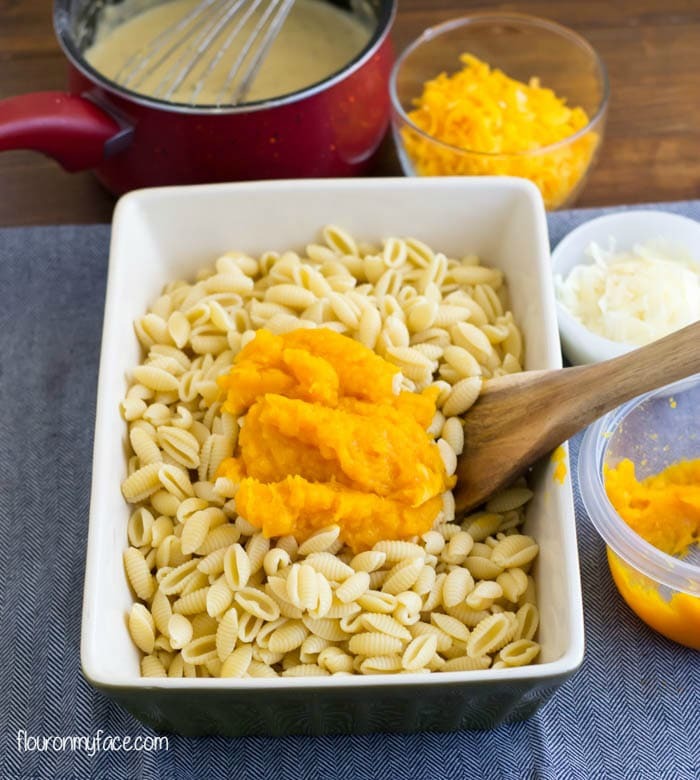 I’ve been craving butternut squash….I’ve never tried it in the crock pot so I’m off to look at this. I love healthy comfort food! 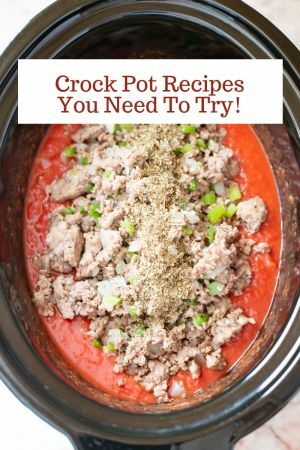 Denise The crock pot makes it so much easier. Tender butternut squash that just scoops right out of the shell. 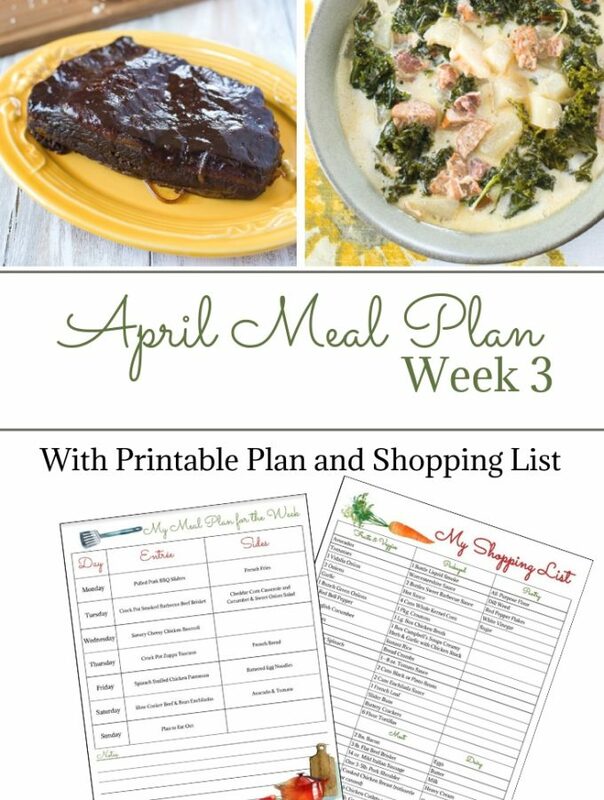 I love such simple easy and nutritious meals for my kids. I love to all things they don’t know are in there. Like this butternut squash – Then when I tell them later.. they are surprised that they enjoyed a vegetable. Cant’ wait to try this. Veena sometimes us moms have to get sneaky! I think I short-circuited my keyboard with my drools. That looks so good and comforting. On a cold rainy day (you Florida gal wouldn’t know about that) a person needs some pasta with a creamy sauce and cheese. But gee, add butternut squash to it that wipes away the guilt because I’m eating a veggie!! I have to make this!! LOL Marissa it is pretty tasty! Ah but we have plenty of rainy days. The sun just usually comes back out and steams everything up.